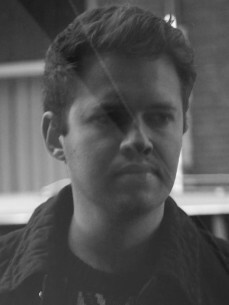 Job Jobse used to work for the infamous Club 11, and when the successor Trouw had opened its doors, Job was bold enough to ask the Berlin based label Innervisions if he could work for them. And so it was that Job moved to Berlin in August 2010 to work at the Innervisions offices. Then Trouw had asked him to work as the assistant booker. So after half a year in Berlin, Job moved back to Amsterdam to start assisting the bookings at Trouw and to be promoted head booker soon after that. This all changed rapidly after he booked Tale of Us for the very first Life and Death label night in April 2012. Job, being a resident DJ at Trouw now, opened up the night himself and impressed the Life and Death guys with his set. Soon after this night the Life and Death crew invited Job to play at their party at the Club Der Visionaere (Berlin). In those 24 extraordinary hours of dj-ing and partying a true friendship and mutual respect between Job and the LAD crew was born.In the summer of 2012 Job was offered another job that he couldn't refuse. Life and Death needed a new label manager and they asked Job for this. Taking on this job would mean he could sign artists he loves and respects to the label plus he could concentrate more on being a full time DJ too.